Of the dozens of different examinations and certifications National Inspection Testing and Certification Corporation (NITC) offers, only four are accredited by the American National Standards Institute (ANSI). ANSI has a primary role in overseeing the creation, implementation, and use of thousands of norms and guidelines that impact businesses in a variety of sectors. ANSI also accredits organizations that have demonstrated conformance to its stringent standards. Candidates for the STAR HVACR Mastery certification exam will be expected to have knowledge in all facets of their trade, including the practical installation, repair, and service of various HVACR systems along with knowledge of both occupational and personal safety. If the candidate passes their examination and earns his or her STAR HVACR Mastery Certification, , then they have truly earned the title of master. The American Society of Sanitary Engineering (ASSE) developed the Series 6000 Standard for medical gas systems personnel. From the time it was introduced, Series 6000 has become the industry standard. It provides municipalities and employers with nationally recognized standards, ensuring that personnel working on the installation or maintenance of medical gas systems possess the knowledge and experience required to handle them safely and properly. In addition, these individuals are expected to possess a general knowledge of applicable local, state, and federal laws, codes & regulations. 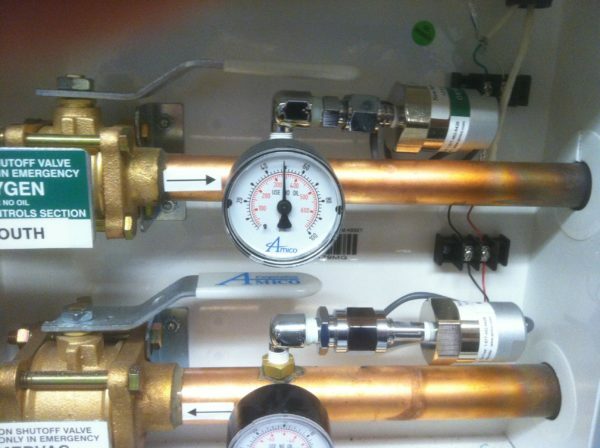 Ideal candidates for the Medical Gas Installer 6010 certification are those who work with piping and its related components, including brazing. Administered in accordance with the American Society of Sanitary Engineers and the National Fire Protection Association 99: Health Care Facilities Code (ASSE 6000 and NFPA 99), the Medical Gas Verifier 6030 certification identifies experienced individuals who are qualified to competently and proficiently install, inspect, and verify medical gas and vacuum systems along with their components. In addition, Medical Gas Verifier candidates are expected to possess a general knowledge of applicable local, state, and federal laws, codes & regulations. With requirements similar to the Medical Gas Verifier 6030 certification, the Medical Gas Instructor 6050 identifies those who are qualified to help prepare future certification candidates. Administered in accordance with ASSE 6000 and NFPA 99 this certification identifies qualified and experienced individuals who have competently and proficiently installed medical gas and vacuum systems and their related components. These individuals must possess a general knowledge of applicable local, state, and federal laws, codes & regulations, along with their respective listing agencies. In addition to industry experience and knowledge of regulations, instructor candidates must provide evidence of prior teaching experience. Whether you’re a training director, association representative, employer representative, or an individual applicant, National Inspection Testing and Certification Corporation (NITC) is there to help advise you along the way. Contact NITC at (877) 457-6482 to learn more about how our products help prepare the most qualified, most reliable, and safest trade professionals possible thanks to our wide range of industry certifications. NITC will help your business exceed customer expectations, so have your personnel certified with the certification company, NITC, today!